Aiming to bring topnotch indie films inside the university, the Communication and Media Society (COMMSOC) hosted the event NOW SHOWING: Bar Boys x Liway, featuring Director Kip Oebanda’s high caliber films at the Tanghalang Julian Felipe on November 27. The attendees comprised of students from various colleges first watched Bar Boys, a relatable barkada drama revolving around Torran (Rocco Nacino), Chris (Enzo Pineda), Erik (Carlo Aquino), and Joshua (Kean Cipriano) who endure the harsh reality of law school and life. The dynamics of the main characters doubtlessly give justice to who the characters were originally based on—Director Kip’s own barkada. A film rife with lessons and drama, Bar Boys can debatably bring color to your desaturated life right now in college—especially in times you need it. Bar Boys ended with a thunderous applause from the crowd. Screening next was Director Kip’s highly acknowledged indie film Liway, the highest grossing Cinemalaya film of all time. It tells a story of a mother named Liway (Glaiza de Castro) and her son Dakip (Kenken Nuyad) who live in the confines of the prison walls during the Martial Law regime. Set during the upheaval on political persecution and resistance against tyranny and fascism, Liway is a heart-warming and soul-mending story of a mother who wants nothing but security for her son and his future—a biographical indie film our generation never thought we need. 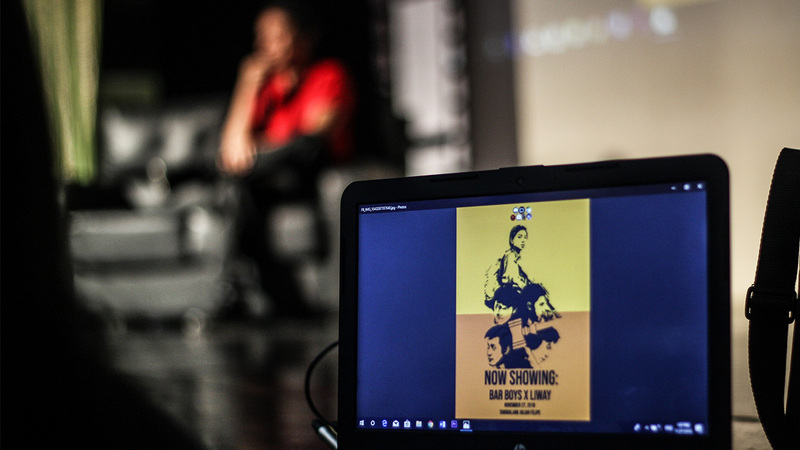 Arguably, the indie films screened by COMMSOC were a representation of the people’s struggle and resistance—obviously for Liway but figuratively for Bar Boys. Those who plan to watch the featured films should focus on the characters’ internal conflicts; and the redemption that comes across the characters. 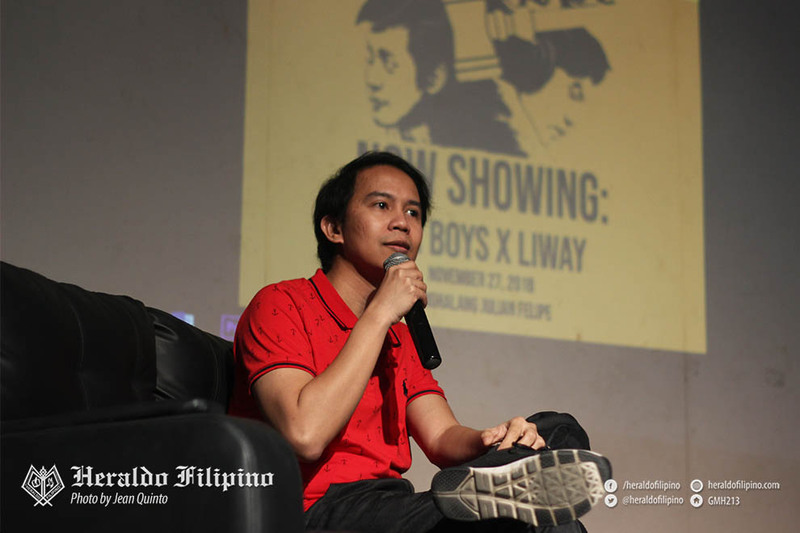 Bar Boys and Liway is a commendable balance of the Director Kip’s perception of reality and how he makes sense of truth. It makes sense why it can be difficult to detach yourself from Glaiza de Castro’s portrayal of Liway and her resistance, or Carlo Aquino’s depiction of Erik’s struggles. The films do not intend to sugarcoat nor exaggerate. “It’s just telling a straightforward this is what happened,” the director shared. 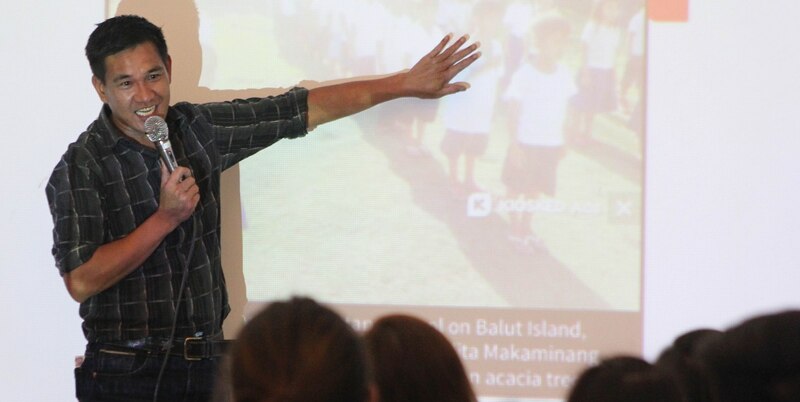 According to Director Kip, he aimed to create films that young people, such as elementary kids, can view. That’s why he succeeded in highlighting the core message of the films regardless of its social and political facets: “a message of hope as opposed to despair,” he said. He even said that what viewers should be careful with is the slow, systemic creeping of the government’s power over the rights of the people. “Under dictatorship, most people’s lives are normal—librarians will still be librarians, drivers will still be drivers. They just don’t have the right to speak [against those in power] and so we have to be careful,” he warned. 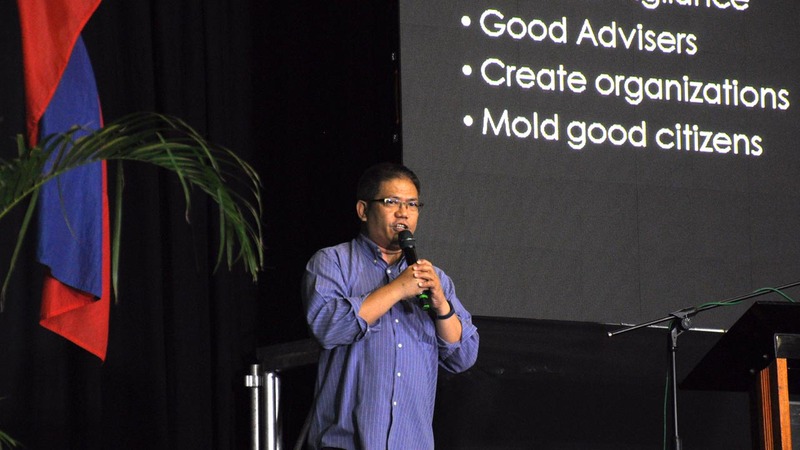 “When our rights are slowly getting eroded, when our media is slowly getting censored, when they get to tell us what we can show, say, and portray, kung dahan-dahan nang ine-erode ‘yong mga karapatang pantao natin, we have to be worried,” he concluded. During these trying times when historical revisionism is creeping its way into our history and lies are bluntly shared online on the daily, films like these crafted by Director Kip are avenues that impart the accurate experiences of the people. 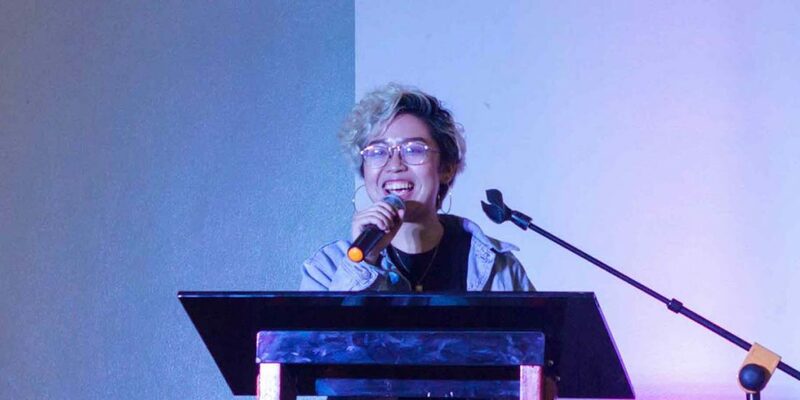 As Liway ended, it’s revealed that her son Dakip was baptized and the priest suggested to change his name, which they promptly agreed to change him to Kip—good thing Lasallians have COMMSOC to bring him here.